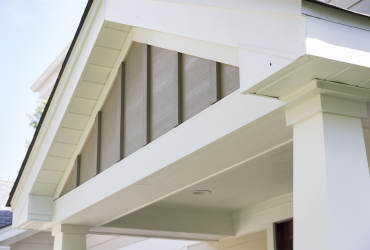 Savvy Nashville homeowners choose James Hardie® siding. Weather elements can take a toll on siding over time. Nashville summers are hot and muggy, and the winters are cold and wet, giving plenty of opportunities to penetrate a home’s siding. When it comes to protecting your home’s exterior, James Hardie siding’s proven track record of delivering outstanding, durable quality for homeowners nationwide makes the siding replacement choice easy. When gathering facts to make the right choice in siding, begin by examining the experts in fiber cement siding products, James Hardie. They offer multiple styles, attractive color options, outstanding resilience, and one of the best warranties in the industry. The performance of James Hardie siding is unmatched, due to its amazing makeup and the attributes the siding possesses that are relative to the climate in which it is used. The genius of climate-specific siding leaves homeowners happy with their siding for years to come. James Hardie siding has been used on over 8 million homes in North America alone. More than 18 billion square-feet of this amazing siding has been installed. The future is bright as the James Hardie company builds on their foundation of success with creative and beautiful solutions for today’s homeowners. 1. Eye-catching curb appeal—Homeowners who love eye-catching curb appeal love the beauty of James Hardie siding. The wide variety of color options and styles cater to all types of style preferences. 2. Long-lasting color—The extra benefit of James Hardie’s ColorPlus® Technology offers homeowners baked-on color that resists fading, keeping your siding looking amazing with minimal maintenance. With ColorPlus technology, there is no need to repaint. How’s that for low maintenance! 3. Superior performance—James Hardie siding is resistant to harsh elements such as excessive rain, droughts, snow, and ice storms. When homeowners choose James Hardie siding products, they get long-lasting value from their investment. Weather tests the durability of a home’s siding throughout the year. Your siding, along with proper installation, helps your home hold up during extreme heat or cold. It also resists deteriorating from the impact of hail and windblown debris, moisture damage and rotting, unattractive warping, and the abrupt change of seasons. 4. Fire-resistant features—Unlike wood or vinyl siding, James Hardie siding is resistant to flames and damaging heat, so it doesn’t contribute to fueling a fire. Many insurance companies offer a discount to homeowners with James Hardie siding because it is non-combustible. 5. Enduring performance due to climate-specific design—James Hardie products are made to meet the needs your particular climate demands. It looks fabulous for decades, saving you time and money because it doesn’t need to be repaired and replaced like other siding options. 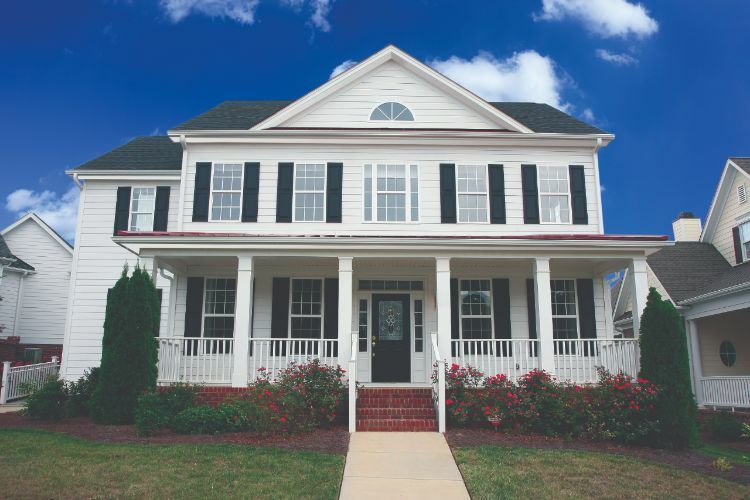 The James Hardie company studied the long-term effects various climates have on siding. The result of their research brought about the creation of the HardieZone® system, which ensures you get the optimal product for your specific climate. HZ5® products primarily resist wet, below-freezing weather conditions. HZ10® products primarily protect homes from heat, humidity, and the harsh effects of the sun. 6. Easy to clean—Every 6–12 months, simply bring out your hose and rinse your new James Hardie siding once or twice a year. A regular, low-pressure garden hose and nonmetal, soft or medium bristle brush will remove dirt and grime from your siding and trim. 7. Resists unwanted pests— Unlike wood siding (which birds can peck at and insects may damage), James Hardie fiber cement siding is engineered to be unappealing to pests including termites. 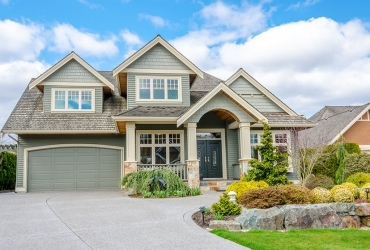 Avoid the hassle of pest infestation by investing in these trusted siding products. The newest James Hardie product line is pretty exciting! James Hardie® has done it again. Their latest siding compilation combines the unmatched performance and durability of James Hardie products with the creativity modern culture embraces, and premier design that homeowners love. The James Hardie company continues to bring new, innovative siding solutions to customers including the Aspyre Collection. To create the Aspyre Collection, James Hardie married the thick, distinctive shapes of Artisan® siding with the smooth, geometric Reveal® Panel System. The Aspyre Collection offers options from traditional to modern and contemporary siding design. The diverse textures in the Aspyre Collection give designers unique variations that cater to everything from homes to distinct projects. The Aspyre Collection equips architects and builders with the opportunity to create artistically impressive aesthetics for homeowners to enjoy. The modern, genuine profiles of the Aspyre Collection give homeowners the unique chance to display their distinct taste for style in impacting siding choices. Why not express your love for style by incorporating the visually pleasing, newest product line the fiber cement siding industry has to offer? This new, durable fiber cement siding offers unmatched performance against weather elements, fading, rotting, or cracking. You’re going to love the long-lasting qualities homeowners have appreciated from the James Hardie product lines for over a century. When the sophisticated elements of Artisan Siding® married the modern aesthetics of the Revel® Panel System, the Aspyre Collection resulted. Definition is created by the 5/8” thick siding that casts beautiful vertical and horizontal lines, giving a distinct look to a home’s exterior. Sophistication to every design is achieved by the opportunity the Aspyre Collection gives architects and home builders to miter corners. Durability of fiber cement siding combines with the traditional look of cedar, bringing superior performance to siding. Low profile seams through lap and lock joint systems create a beautiful overall look. Clean lines for modern aesthetics are achieved by the customizable system of commercial-grade panels, trims, and fasteners. Design flexibility is accomplished by the horizontal and vertical options for panel installation. Reveal Recess Trim and Surround Trim are distinctly different trim profiles from which to choose. Schedule a free consultation with Siding King, and we’ll answer your questions and design the best plan to meet your siding needs.